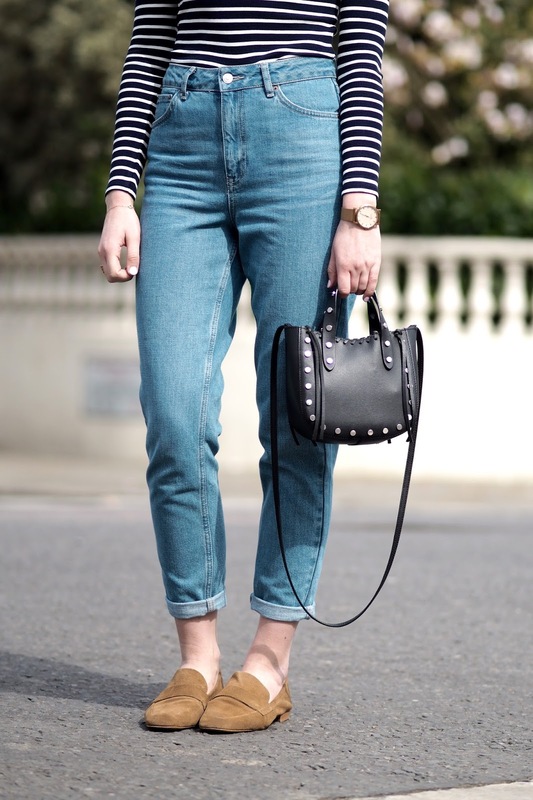 On the hunt to find some new denim, I stumbled upon the Topshop Mom Jean. A slightly different style to what I usually go for, they are high waisted with a somewhat relaxed fit. With Summer fast approaching I wanted a lighter wash of denim with minimal rips (much to my surprise). The end result was these MOTO Topshop Pretty Blue Mom Jeans, or so they are described on the website. 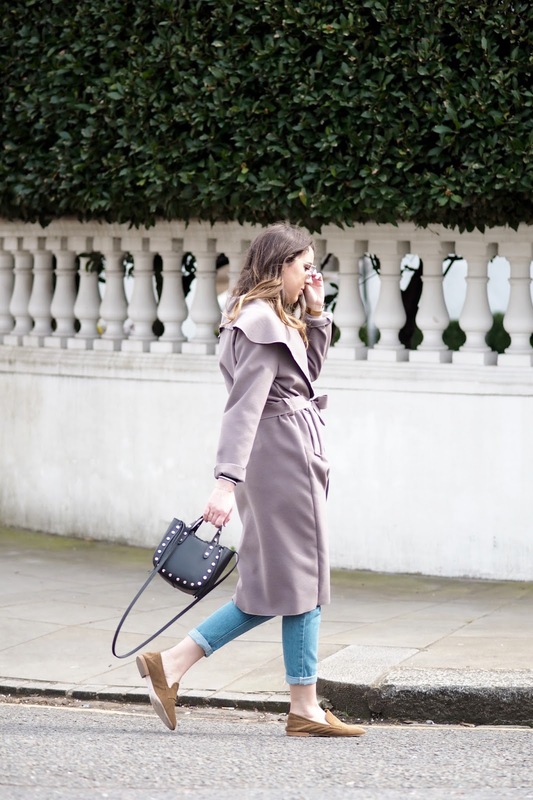 Priced at £40 a pair, I thought this was pretty reasonable and Topshop have provided me with some of my favourite, best fitting jeans over the years. I did have to size up so do bare this in mind if your looking to buy a pair yourself. Now I'm not sure if they come up small or that's a result of too much chocolate consumed over the Easter period but I thought I would give you a heads up. As they have less stretch than my beloved Topshop Jamie jeans and are somewhat more rigid this could explain why. With that said, it's nice to get out of my skinny jeans into something a little more comfortable. Now there's no secret that I'm a fan of a striped top. It's a must have staple that compliments most outfits in my opinion. With the weather getting warmer, it's nice to experiment with different styles which is why I was keen to add this striped off the shoulder number to my spring/summer wardrobe. I love the result when paired with your favourite denim and it will also look great teamed with my tan suede pieces which I cannot wait to dig out at a later date. Speaking of great tan pieces, how amazing are these loafers I recently picked up in Zara? The perfect summer shoe if you ask me. Now I know you have to snap things up in Zara as soon as you see them but I have found a pretty identical pair from Topshop which you can see here, if your looking for a comfortable yet versatile summer shoe. Photos taken on an Olympus PEN E-PL7 camera using a 75mm lens. I've always found the MOM jeans come up small, don't worry. They look fab on you. Mom jeans look great on you! I've been trying to get my hands on a pair of Topshop ones as I think that they're quite reasonably priced as well, but they always seem to be out of stock in my size. Oh...this look is so urban and unique! Love the way you team this striped open-shoulder top with mom jeans and cream brown loafers. The coat ideally completes the whole look. 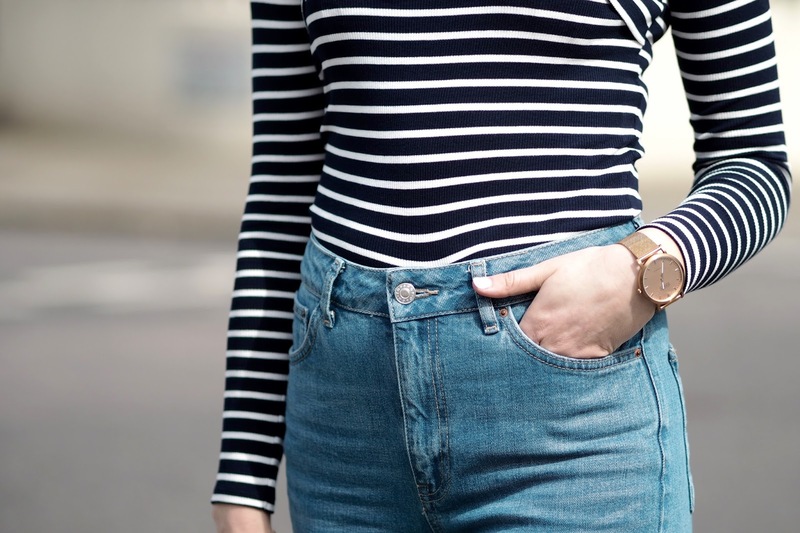 I also created an article about mom jeans trends in 2018, here is the link: http://onlywardrobe.com/womens-fashion/mom-jeans-trend-is-back-in-2018-and-its-massive/ Hope you can find something interesting.